When I was growing up, Jumping Castles looked like this – made out to be a castle! I can remember having hours of fun jumping on them at school fetes, shows having a ball until a bigger kid jumped on you and it all ended in tears. At our recent Preschool Christmas Concert and Fete we had hired a jumping Castle and Inflatable Slide (Bubbles they call them in the business!) and man were they cool. The Jumping castle was like a whole world of it’s own with slides and animals to wrestle and stairs to climb, It was massive. None of this old fashioned jumping around a flat rectangle and running from one side to the other. On these ones you could go up, down, under, over, through, so much fun! My Muddy Preschooler and Muddy Pixie could have stayed on their for hours, except their session ended and they had to get off! I’m guessing they call them Bubbles now because they definitely don’t look like a ‘castle’ anymore. What I’ve been really surprised about though is the growing amount of small backyard jumping castles. They appear in Toy Catalogues all the time and I know several families that have one they will pull out for parties, or if the kids are bored, if it’s wet they’ll move the car out of the garage and set it up in there. 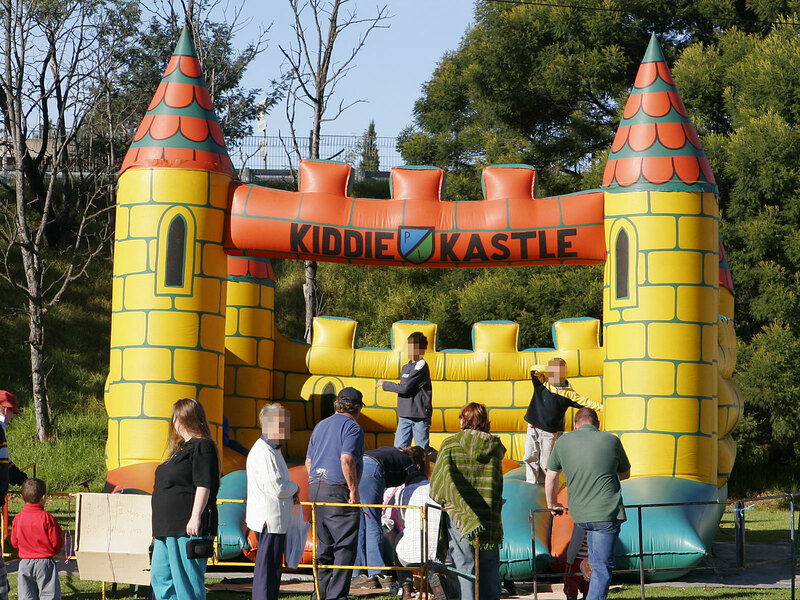 I was a bit of a cynic about these backyard castles, I thought they were a bit over the top, then we had a huge amount of kids coming for a birthday party/Christening and we borrowed our neighbours backyard one, and it was the BEST thing we did. 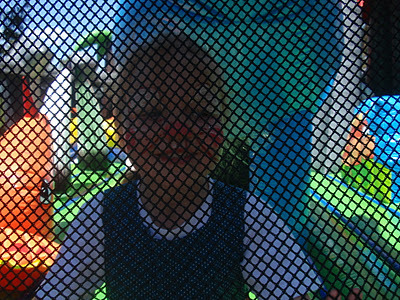 It kept our kids entertained for hours! Obviously it’s not for the ‘big’ kids, but for kids the age of My Muddy Tribe they were perfect. Yesterday we went to a big Christmas Party and we again borrowed the Jumping Castle, I think I saw My Muddy Tribe for all of about 5 min intervals once the Jumping Castle was set up! So I’ve had to pack my cynicism away and admit that for some occasions the backyard Jumping Castle is not over the top, it’s an ingenious way to entertain the kids! They may not be as I remember them, but they still provide hours of entertainment and it still all ends in tears when the big kid lands on you. 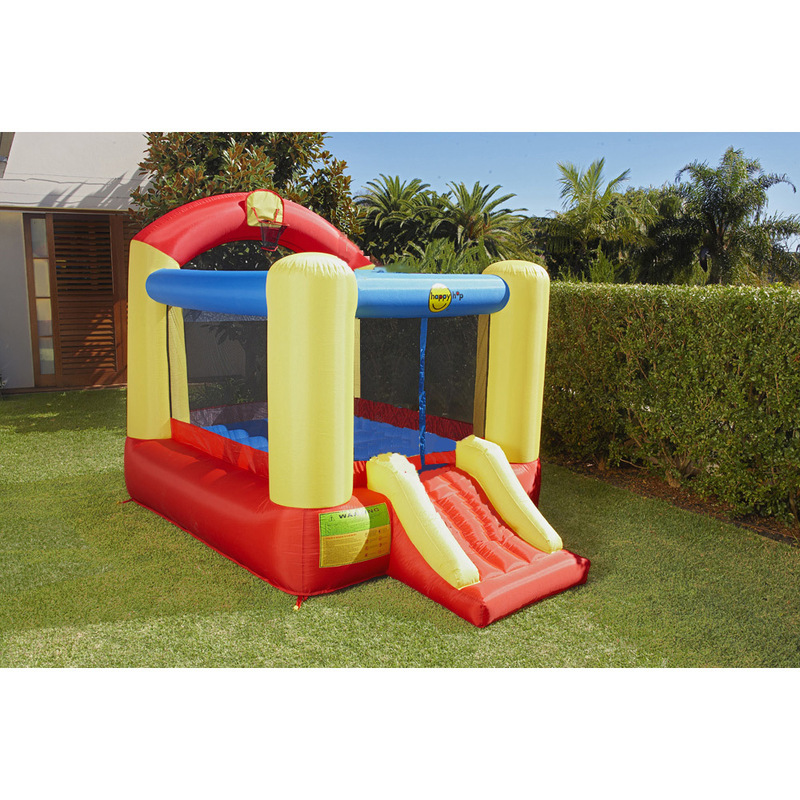 The Backyard Jumping Castle, too much? What do you remember about Jumping Castles? Are they Over the Top with Backyard ones? This entry was posted in Family on December 18, 2011 by nat. Haha! Angus is THAT big kid ;o) He was always landing on someone as a wee tot, he’s a little more cautious these days, thank heavens! Yeah the jumping castles are fab nowadays and they DO keep the kiddies entertained for hours. Such a good information.It is purely safe to our kids,and bring them enjoyment and excitement. 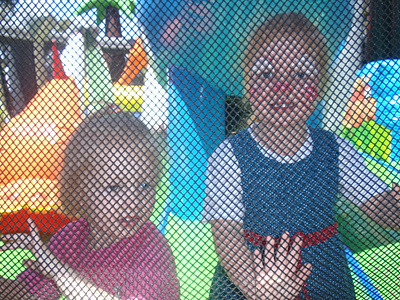 and Jumping Castle Hire Adelaide . I appreciate your article, truly it is extremely interesting & attractive. I discovered many facts, the information utilized in this web site is absolutely excellent & substantial.